The recent release of the 2016 Population and Housing Census Report has brought some alarming trends to the forefront. The report revealed that the disparity in median annual personal income by race has widen over the intercensal period with Blacks experiencing a 13% decline in income levels in comparison to a 1% increase for Whites. This double-digit decline in income for Bermuda’s Black population, coupled with the cost of living steadily increasing, has resulted in a marked reduction in purchasing power and, consequentially, quality of life. This income disparity by race continues to grow despite educational attainment. For example, the median salary for Whites and Blacks with bachelor’s degrees was $118,713 and $81,131 respectively, a difference of $37,582 per annum. Also concerning, the emigration of Bermudians has increased 55%, leading to a further brain-drain and increased ageing population. In recognising the struggles that the workers and their families have been facing, the Bermuda Trade Union Congress issued a Workers’ Agenda on the eve of the 2017 General Election. The aim of this document was to promote initiatives that would tackle the many issues affecting working-class Bermudians. The BTUC strongly believed that the next Government of Bermuda must establish and maintain a healthy balance between the interests of business and the interests of workers. The BTUC, therefore, challenged the next Government to adopt and commit to an agenda that empowers Bermudians and improves the lives of ALL workers in Bermuda. I am pleased to report that considerable progress has been made on items featured in the 2017 Workers’ Agenda. The BTUC advocated for Bermuda to develop and implement a livable wage. We believe that as the economy begins to stabilize, the call for a living wage is a necessary component for sustainable economic recovery as it will enhance the quality of life for workers. Progress Update: The BTUC actively contributed to the development of the Labour Advisory Committee [LAC] report on a living wage which was completed and submitted to the Minister of Home Affairs. The Government has taken strides to address the issue of a living wage through the formulation of a Joint Select Committee [JSC] on a living wage. Members of the BTUC have been consulted by the committee and anticipate a report being table in the house with the next few months. 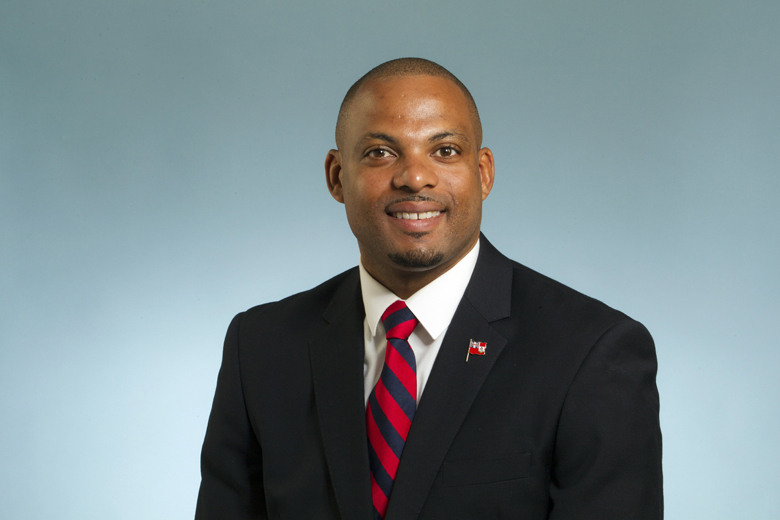 The BTUC requested the development of a Workforce Development Plan [WDP] for Bermuda. We believe that a WDP is fundamentally critical as it will provide Bermudians with positive social and economic outcomes. The BTUC is alarmed by the high level of youth unemployment. We believe it is critical that the Government develop and implement a comprehensive youth employment strategy which focuses on employment while simultaneously, fostering a smoother transition into the labour market. develop a comprehensive Workforce Development Plan which is critical for the advancement of Bermuda’s workforce. A final report was produced by the Committee and has been submitted to the Minister Education and Workforce Development for his review and implementation. The Workforce Development Plan submitted to the Minister of Education and Workforce Development also outlines appropriate strategies to address youth employment. The primary aim of COLAs is to ensure that employees maintain their purchasing power. Inflation erodes an individual’s purchasing power because as prices increase, the amount of goods and services a person can acquire with a fixed amount of money decreases. It is reasonable for COLA increases to be granted to restore workers’ purchasing power and improve their quality of life. Progress Update: The fight to secure COLA increases throughout the Island continues. Organised labour has been able to make significant and notable gains in this area, however, wages have been relatively stagnant in non-unionised workplaces. While progress has been made in the public sector, negotiations continue for a number of BTUC affiliates. The BTUC recognises that age discrimination affects many people in Bermuda – both young and old. The young are refused employment opportunities and are underpaid. Meanwhile, older workers are prevented from continuing employment after age 65 or are not granted employment opportunities as they approach retirement age. The BTUC is requesting that the Government address age discrimination by amending the Human Rights Act which already establishes a general framework for equal treatment in employment opportunities and continued employment now. Progress Update: Through the lobbying efforts of the BTUC at the LAC, the Minister of Home Affairs Walton Brown, JP, MP has agreed to the formulation of a tripartite sub-committee that will be responsible for assessing the feasibility for increasing of the retirement age beyond age 65. The BTUC recognizes the vital need to modernize and consolidate our current labour legislation. The BTUC requested that the Government commit to modernise and consolidate our current labour legislation. Progress Update: A Tripartite Labour Law Reform Committee has been established under the LAC to recommend amendments to the Minister of Home Affairs regarding the Modernization of Bermuda’s Labour Laws. BTUC affiliates have representation on this Committee and have been working deligently to provide the Minister with a final report, which will include draft newly created draft labour legistalotion. The BTUC will continue to work with the Government to empower and improve the lives of ALL workers in Bermuda. When Mr Hayward speaks in caucus or the senate on these issues, who is he representing? Surely this is as much a conflict of interest as the CEO of Bitt.com – the beneficiary of millions of dollars from Overstock.com, the owner of Medici ventures which wants to set up shop in Bermuda – advising the Government? it’s always the same crap in Bermuda and that’s why Bermuda and it’s people will always have a racial problem. And that is just how the PLP want to keep it. Heaven forbid they have to rely on integrity and ability to win an election. “Facts of the Rock” your pseudonym is ironic in so far as you appear to be opposed to the facts that reflect life on the rock from being discussed. Are you in fact saying that the facts in the census 2016 around growing racial disparity should not be discussed? Mr. Hayward as a responsible leader did the right thing by highlighting those stats/facts which directly impact over 50% of Bermuda’s population and which should be of concern to us all. Ran out of race cards but this is self explanatory. So our update is that a whole lot of talking and no action has taken place on these issues. And the voters just lap it up. PLP?BIU/BTUC tactic is to keep eduction to a minimum, and then relying on the race card to win elections. To be fair, it works as it keeps the PLP in Government, but it’s not fair to keep ruining the futures of generations of kids to achieve it. Talk, talk, talk, and what were you saying again? Always talk the talk but no can walk the walk.. same as before..